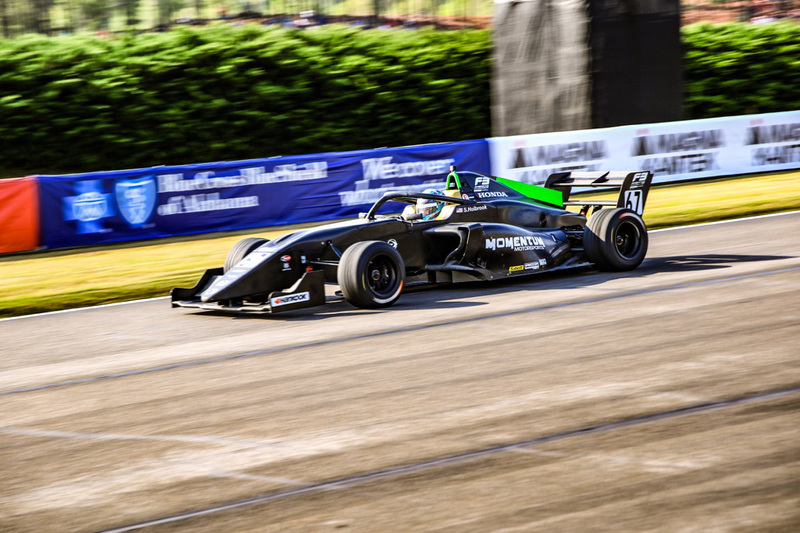 It was the 2019 F3 Americas Powered by Honda season opener and Momentum Motorsports attacked the event with a pair of drivers. Kent Vaccaro made the jump from his F4 Ligier to the F3 machine while a last minute entry for W Series driver Shea Holbrook, who inked a deal to join the team on Monday of race week, was also on the grid. 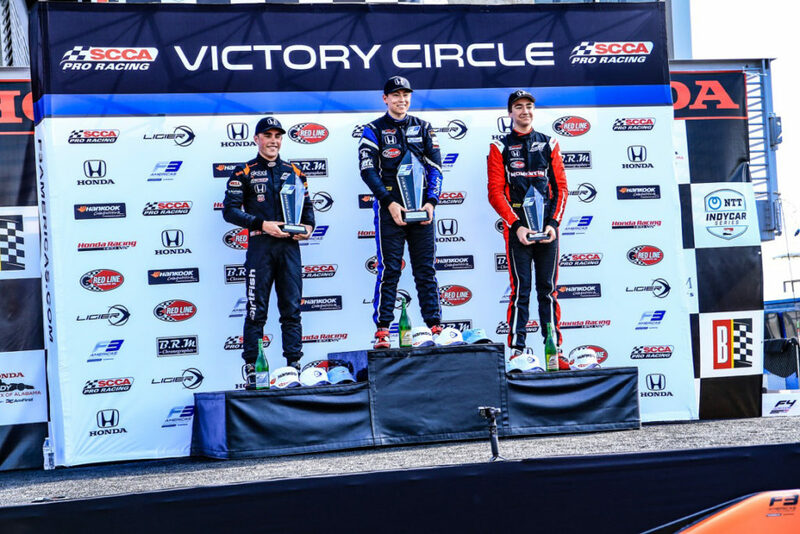 When the weekend had finally come to a close, Kent Vaccaro stood on the third step of the podium in race two, his first career F3 Americas Powered by Honda podium appearance. Challenging with solid pace throughout the promoter’s test day and official practice, qualifying took a turn for the worse and would effect the majority of the first race day. Leaving the session with a loss of speed and time, both Momentum Motorsports drivers were further down the gird with Vaccaro in ninth and Holbrook in 11th. The first wheel-to-wheel action of the weekend saw an issue with a front row starter that jumbled the field early, forcing drivers to take evasive action to miss a slower car. When the dust had settled and the first lap came to a close, drivers had settled into a follow the leader type of race until the race was slowed for the one and only caution. Kent advanced forward to the sixth position on track before a minor mistake put him further down the grid than his speed showed. Claiming the fourth fastest lap of the race and securing an outside second row starting position for the second race on the weekend, Vaccaro crossed the stripe in the ninth position but would live to fight another day. Race two on Sunday morning presented drivers with damp and slick conditions as both Vaccaro and Holbrook took the green on wet weather Hankook Tires. 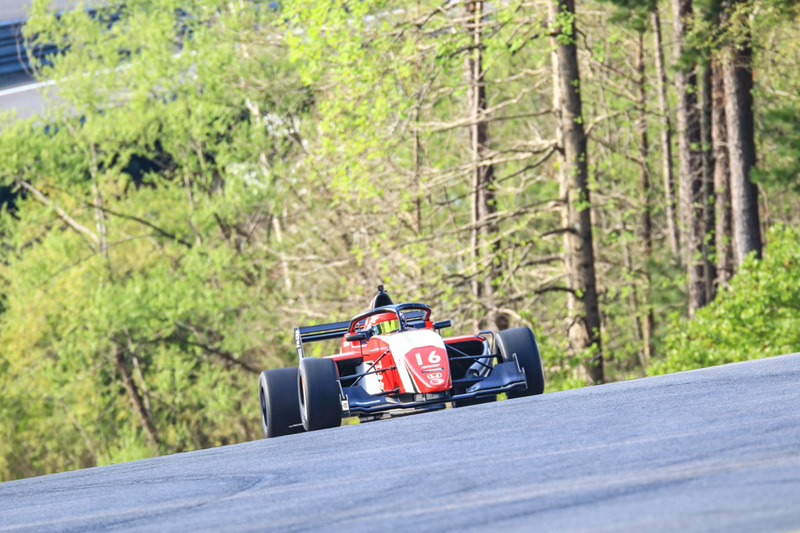 With a drying track and competitors searching for water to cool their tires, Vaccaro challenged the lead duo as the top-three ran lock and step for the first half of the race. Falling back slightly, Vaccaro nursed his ailing tires to the finish and crossed the stripe in the third position. Holbrook, after an incident Saturday, started shotgun on the field and progressed forward from her 13th place starting position to put two Momentum Motorsports drivers in the top-ten. Showing poise and running fast and consistent race laps, the only female in the field drove a solid race to come home sixth, earning the hard charger award, a great close to the weekend for Momentum Motorsports. Momentum Motorsports will compete in the combined F3 Americas Powered by Honda and the F4 United States Championship Powered by Honda event at the Michelin Raceway Road Atlanta over Easter weekend on April 18-20.